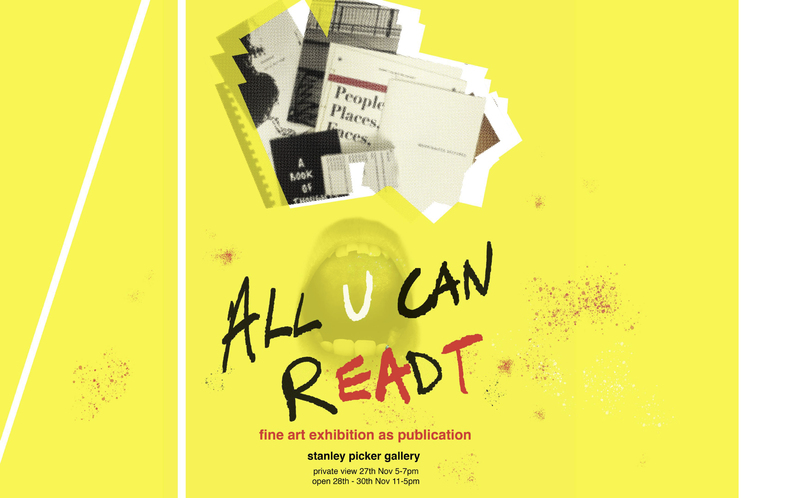 Stanley Picker Gallery is pleased to be hosting All u can readt, an exhibition as publication show by Level 5 and 6 BA Fine Art students from Kingston School of Art. Working as individuals and in collaboration, the group have been investigating how the publication can act as a showing space and a place to disseminate ideas. All are invited to browse!